These amazing skillet sweet potato brownies are everything you’ve ever wanted in a dessert. They’re grain-free making them the fudgiest paleo sweet potato brownies you’ll ever eat. Helloooooo beautiful. 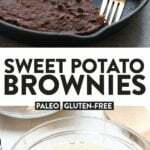 That’s pretty much what I say every time I take a bite out of these paleo sweet potato brownies. Today we’re sharing a healthy brownie recipe with a twist! 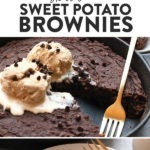 AKA we replaced the oil with sweet potato puree to make these brownies nutritious and delicious! Plus, these sweet potato brownies are super fudgy and grain-free/paleo-friendly (WOOT!). 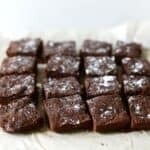 , which is what helps them become thick and fudgy and naturally sweetened with coconut sugar, maple syrup, and SWEET POTATO…but you already knew that :D The sweet potato in this recipe also allows us to take away any kind of oil that’s needed. By doing this, you reduce fat and calories. to cook them in so that we could all dig in at once. Of course, it’s optional to slice and serve, but we preferred plopping some ice cream right on top and eating it straight out of the pan! Please do note that if you use a different size pan or a pan that is not cast iron, the bake time will slightly differ. Preheat oven to 350ºF and generously spray a 10-inch cast iron skillet with coconut oil cooking spray. Set aside. Place wet ingredients in a large bowl and mix together until smooth. 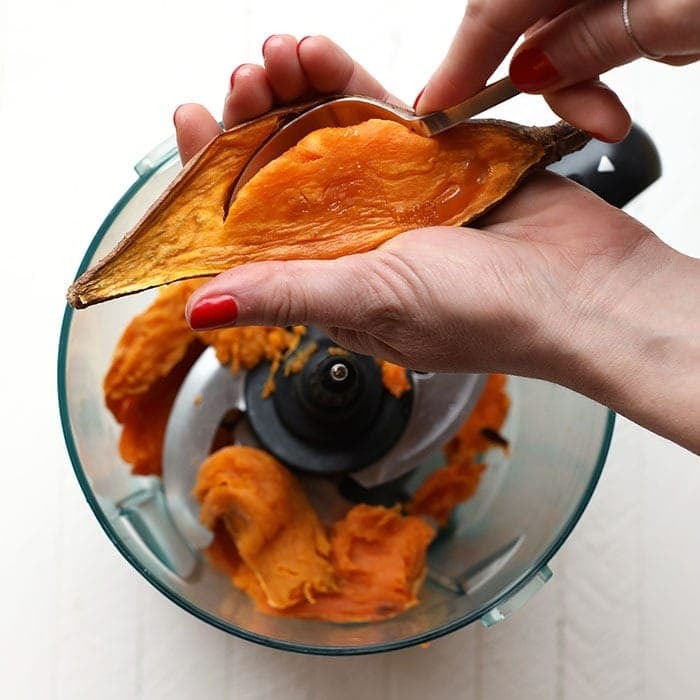 If you are making your own sweet potato puree, you can follow this tutorial. Then, add dry ingredients to the same bowl and mix until combined. Pour batter into skillet and use a spatula to spread out evenly. Bake at 350ºF for 40-45 minutes. Let cool for 10 minutes before slicing. Enjoy! option to use canned sweet potato puree for homemade sweet potato puree. If you don’t have a 9-inch cast iron pan, option to use an 8×8 inch cake pan. Bake time may increase slightly. One of the main reasons why I love sweet potatoes is because they never really go out of season. We eat them year-round in the Fit Foodie kitchen and hope we’re giving you the means to do the same thing! 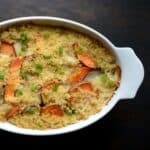 Check out some of our healthy sweet potato recipes! Don’t forget to tag your posts on social media with the hashtag, we’d love to see what you’re up to! 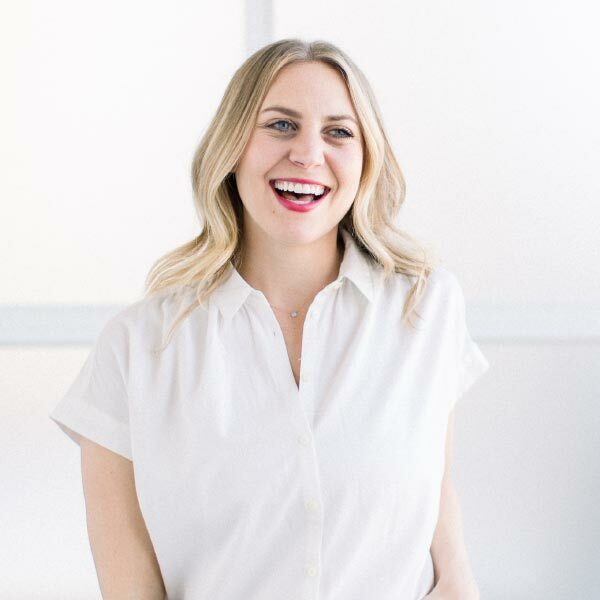 Thanks for stopping by Fit Foodie Finds. My name is Lee Hersh, and I’m the founder and CEO of FFF. I am so glad you’re here! 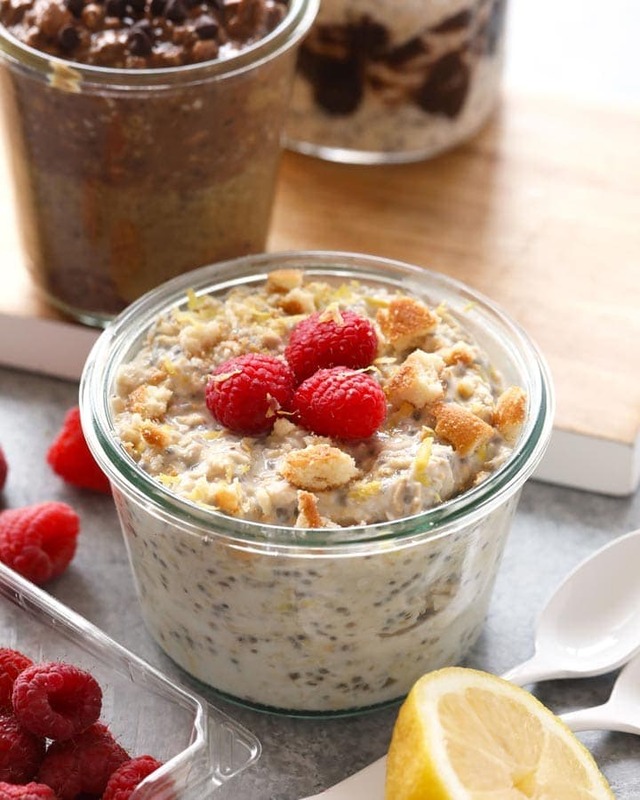 Subscribe now + receive our BONUS overnight oat recipe e-book.